For a long time in my spirituality I looked at the saints as great role models, but I never really went past that line with them. In many ways, it was as if I was looking at them as dead members of the Church. That might sound strange considering they have all died, many of them centuries ago, but my eyes have since been opened to see this great cloud of witnesses. These great witnesses may have passed, but the saints are alive. In the past few years that I truly began to embrace the saints, my faith has found more comfort and encouragement being actively involved in their prayers for me. These great heroes became more than old stories of history, and I was able to enter into conversation with them. 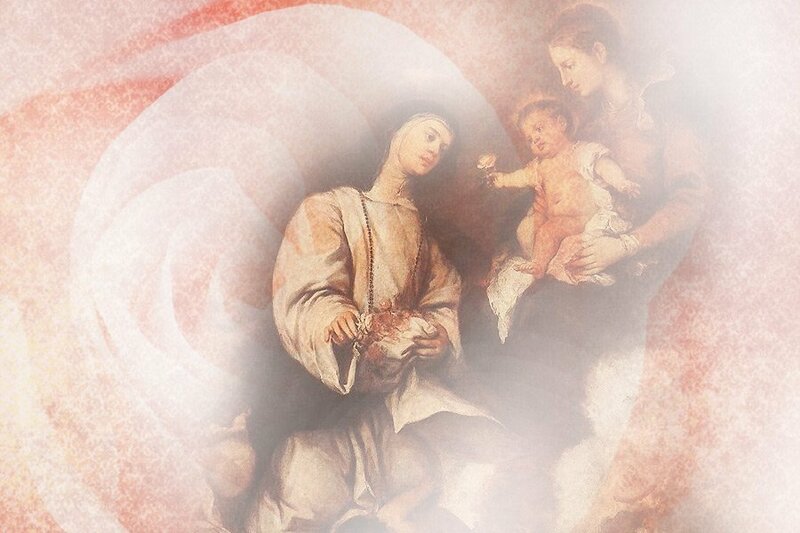 and the smoke of the incense rose with the prayers of the saints from the hand of the angel before God. The beauty of having perfect friends is that they only point me to Jesus. This is part of the reason I find it odd/interesting that some protestants accuse us of worshiping idols. How do we talk to the saints? Well… we pray. Not to them, but with them. Looking at the surface, I can kind of see how it could be confused as idol worship, but our prayers are more than remembrance of loved ones passed. Our prayers with saints are live conversations with those that have already finished the race. They know the struggles – they know the suffering. I can think of no one better to ask for prayers. Last year, I only finished one painting so that I could take a break and focus on large design projects like Austin Catholic New Media. I also felt like taking a break from religious themed art, which has dominated most of my works. Now after much discernment, I realized that promoting the faith through my art is more important than ever. Now that my angel series has come to a stopping point, I am very excited to work on my new works that will focus on the saints. I hope that I am able to create works unique to my style and in ways that celebrate the great legacies of these men and women that know a life and love deeper than we can imagine here on earth. May it be done for the greater glory of God.